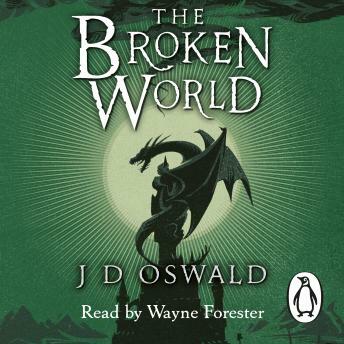 Penguin presents the unabridged, downloadable, audiobook edition of The Ballad of Sir Benfro: The Broken World, the fourth installment in the new fantasy series from JD Oswald, read by Wayne Forester. Captured by the travelling circus, Benfro cannot shake their control, more powerful than Magog's malign influence. Errol follows the trail left by his friend's captors, for only Benfro holds the key to Errol's beloved Martha's whereabouts. Without Benfro there is no hope of rescuing her. But the circus is headed for Tynhelyg and King Ballah, a place Errol does not wish to approach. As the ancient spell that split Gwlad begins to unravel, it may be easier for Benfro and Errol to travel to Gog's world now, but what will happen when the barriers between the two worlds fail entirely?